John Strachan McCracken CBE. 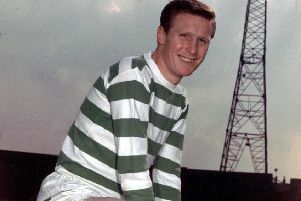 Born: 5 July 1930 in Bellshill, North Lanarkshire. Died: 7 January 2018 in Georgia, USA, aged 87. John McCracken’s family moved to Cowdenbeath when he was a young boy. There his father was a minister and John spent his youth. After he finished Beath High School, he graduated from the University of Edinburgh, where he studied physics. John volunteered for a Short Service Commission as a Sub-Lieutenant and served as a radar instructor on HMS Collingswood and at sea aboard HMS Indefatigable. John started his 33-year-career with IBM in 1956 in Scotland, opening its first office in Edinburgh in 1958 and selling the first-ever computer system to both the Royal Bank and the Bank of Scotland. He held numerous successful positions during his career with IBM, beginning as a salesman and moving quickly through the sales management levels and positions to become a regional manager. John was named IBM’s Director of Scotland and Northern England in 1980 and held that position until 1985. He went on to become the Communications Director for IBM United Kingdom, Ltd in 1985, a position he held until his retirement in 1989. John was awarded a CBE in 1985 in recognition of Services to the Scottish Business Community, not only to IBM, but also for his non-executive directorships at Scott Lithgow, CR Smith, ScotBic, British Rail (Scotland) and Ewbank Preece, Ltd. He was also an active board member of the Scottish Development Agency, 1980-1986; Chairman of the Executive Council of Scottish Business in the Community, 1982-1985; Scottish Enterprise Foundation, 1981-1985; and the Scottish Graduate Enterprise, 1981-1985, all to promote Scotland’s business environment. John also found time to be ordained to the eldership at Cramond Kirk. He was intimately involved in promoting Scottish arts, as a trustee of the National Museums of Scotland, 1985-1991; Society of Scottish Artists, 1984-1991; member of the Council of the Edinburgh Festival, 1985-1991; and supporter of the Scottish National Orchestra. John lost his wife Margaret in 1984. In 1988 he married Moira and the couple moved to the USA in 1990. John, an all-round athlete, was a member of Muirfield, Prestwick, and Bruntsfield Links, and the MCC. Later in life he took up skiing and became an accomplished horse rider. John spent his last 28 years living in the foothills of the Appalachian Mountains, breeding and raising Irish Sport Horses on a farm he carved out and loved dearly. He is survived by his wife, Moira, his three children, Margaret Anne Scott, Suzanne Dudek and Ralston, and two grandchildren, John Scott and Euan Scott. His sister, Maisie Mercer, also survives him, and lives in Argyle.